San Diego, CA. – The Yamaha Champions Riding School, aka CHAMPSCHOOL, and Tuned Racing have entered into a partnership for the 2019 MotoAmerica racing season. ChampSchool will provide bikes, support, on- and off-track training, track time, and their dealer marketing package (participating dealers get access to the team during race weekends, seats in the Yamaha Champions Riding School, and access to the Champions Sportbike Demos program). Tuned Racing will be ambassadors for ChampSchool as well as a showpiece in the MotoAmerica paddock for the school, offering VIP service to ChampSchool guests and participating dealers and be a marketing arm for the school to race fans. Tuned Racing will enter Bryce Prince, a YCRS graduate, in the MotoAmerica 600 SuperSport class and are looking to fill the seat of the second bike. Based on last year’s results and Bryce’s resume in general, expect to see this veteran fighting for the podium on a regular basis. ChampSchool will also act as a talent scout when searching for new riders. “I’ve been a fan of this school for a long time, having worked with so many racers who cut their teeth at ChampSchool including Bryce and Jason (Aguilar) before him. Bryce still comments on how much of his foundation came from the Champions Habits he learned from Nick and the gang at the Yamaha Champions Riding School. The year he spent with Kyle (Wyman – ChampSchool instructor) last year just raised him to a new level. I’m excited!” said Mike Pond, owner of Tuned Racing. 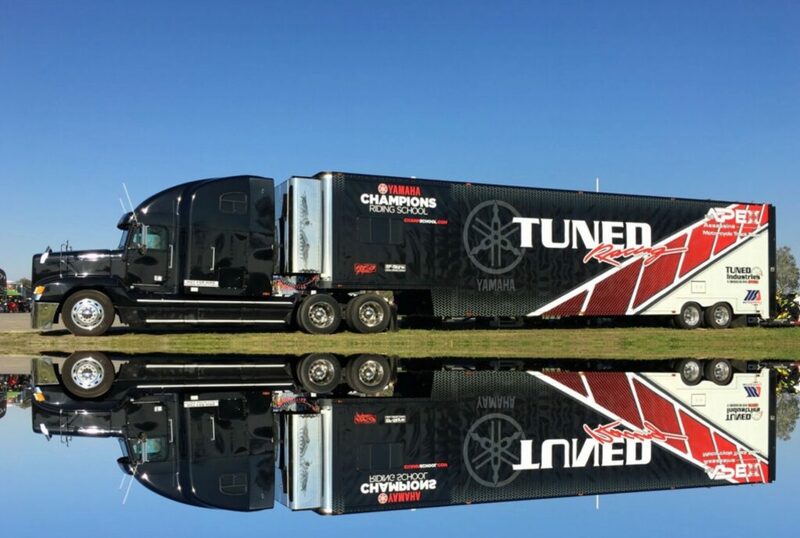 Founded in 2012 and Incorporated in 2017, Tuned Racing is a nationwide leader in the motorcycle racing industry. The company offers a wide range of products and services designed to create a professional team image and help them win races.